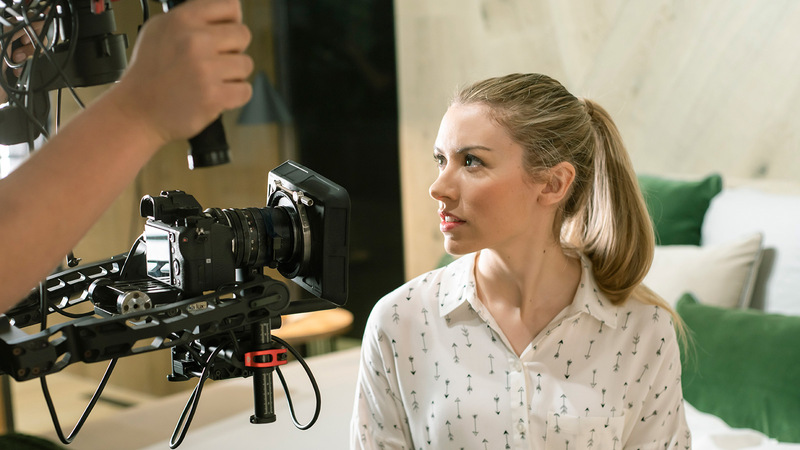 From this Friday until October 28th, the Valencia Fair will have on show the most important designs in the interior design and property development fields. 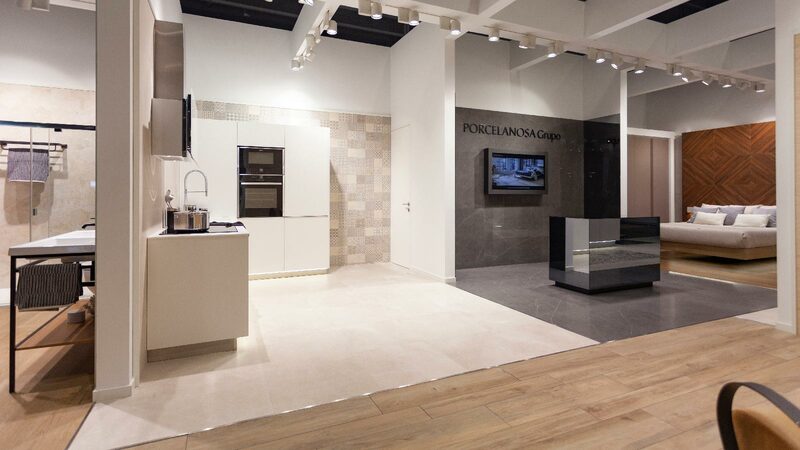 The eight firms from the PORCELANOSA Grupo will showcase their different collections at stand D19 in hall N2-P1. The main estate agency groups from Valencia can look forward to a must-attend event with La Feria Inmobiliaria del Mediterráneo (URBE). 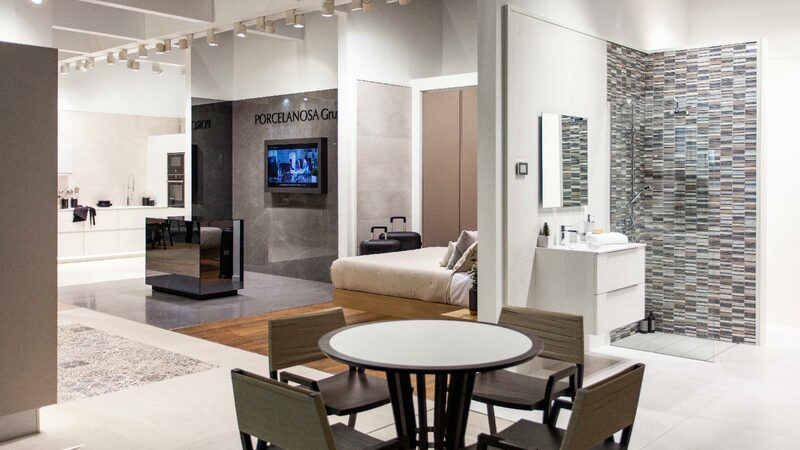 The event, which will get underway this coming Friday, and which will close on October 28, will have the presence of the PORCELANOSA Grupo, which will be showcasing its latest collections and innovations from the interior design and property development fields. 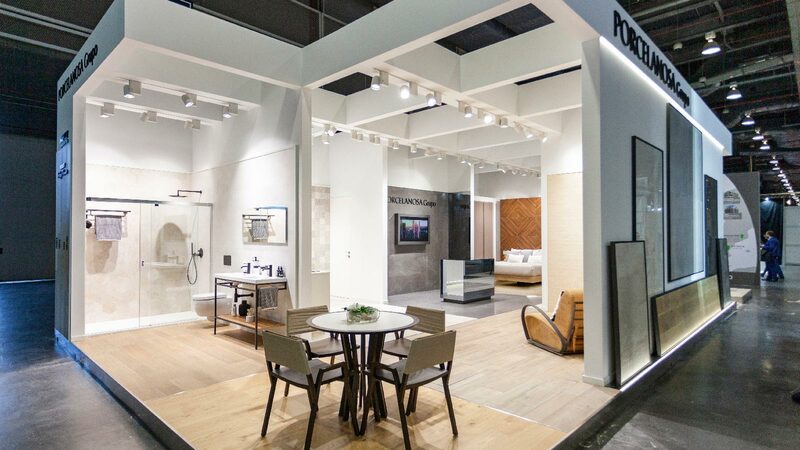 The eight firms from the Grupo will showcase their main designs at stand D19, hall N2-P1, in an assemble of different atmospheres which are made up of: two bathrooms, two kitchens, a dining room and a bedroom. 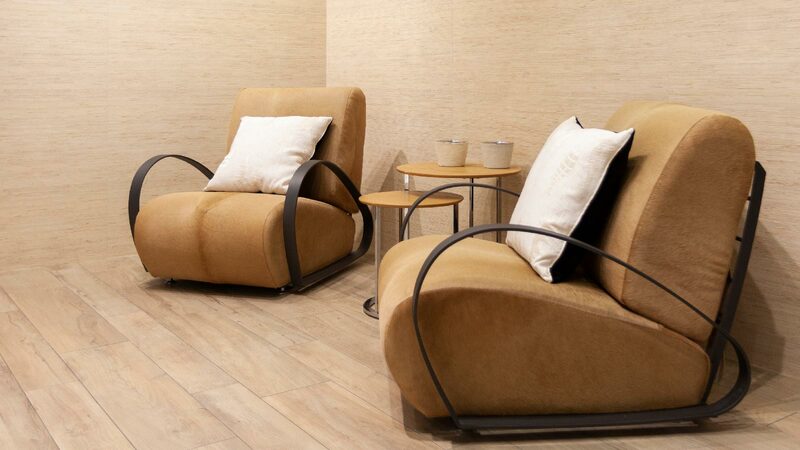 In the living room, floor tiles and wall tiles from Porcelanosa have been used. 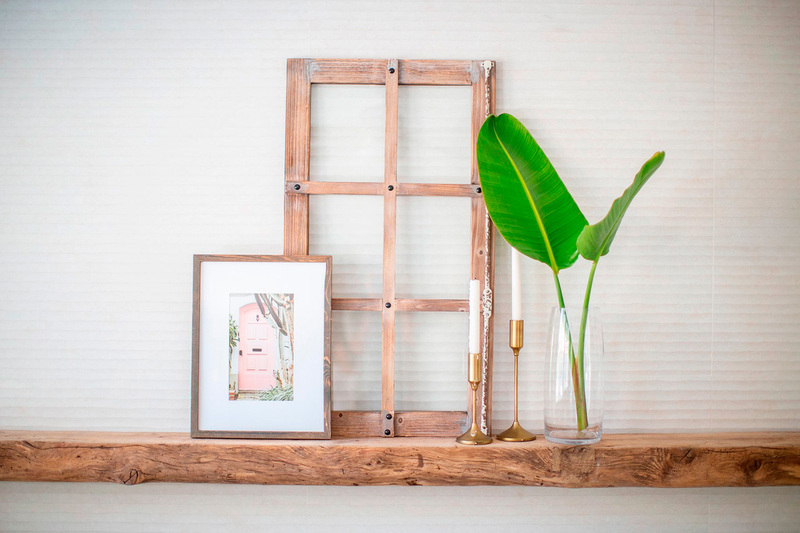 The Forest Colonial series from the Par-Ker and Java Sand collection provide an excellent contrast between the stone and the wood. 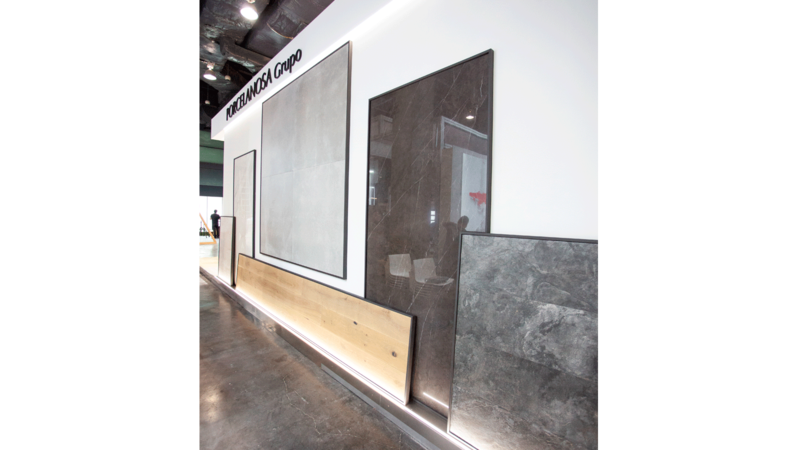 Right in front we have the Xlight large-sized and the thin porcelain tile, a product which comes from Urbatek. 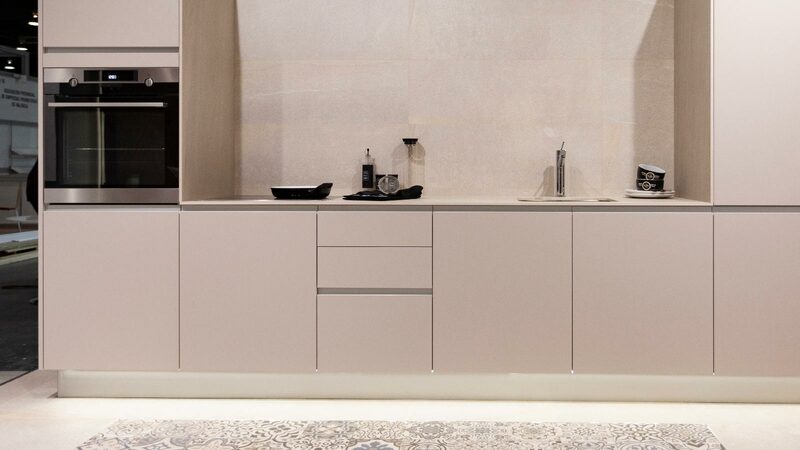 Beside it, we have the P1.60 Bisón kitchen by Gamadecor. 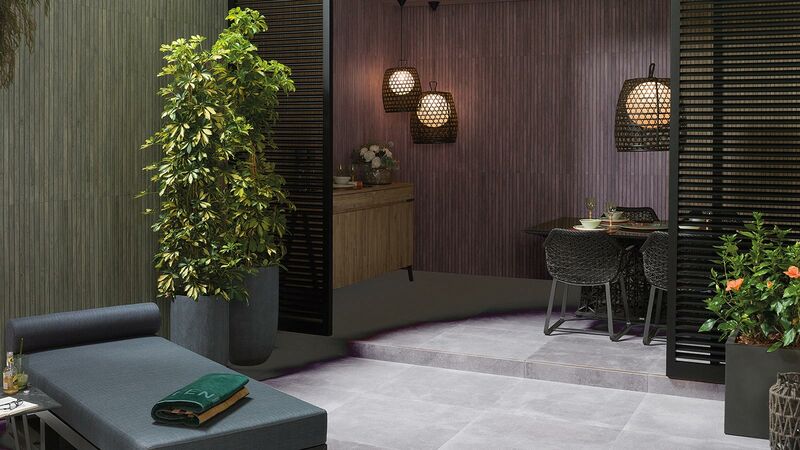 The Caliza Amsterdam Hexagon natural stone wall tile by L’Antic Colonial, really catches the eye. 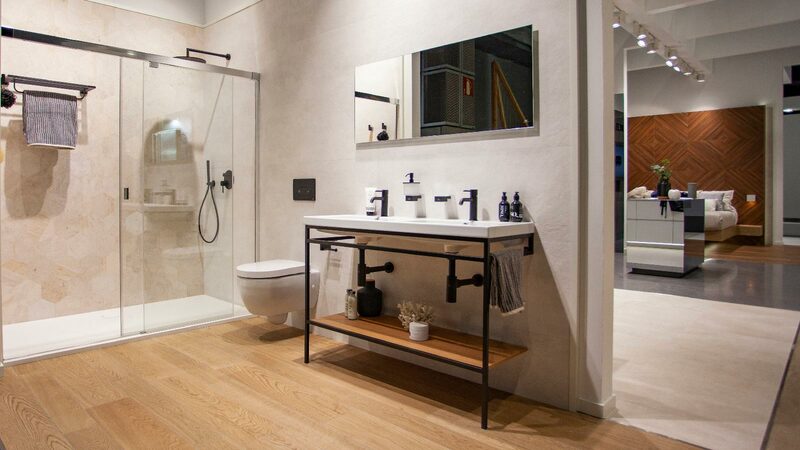 It comes with a three-dimensional combination with the KrionTM shower tray, the wall-hung sanitaryware and the taps and accessories from Noken Porcelanosa Bathrooms. 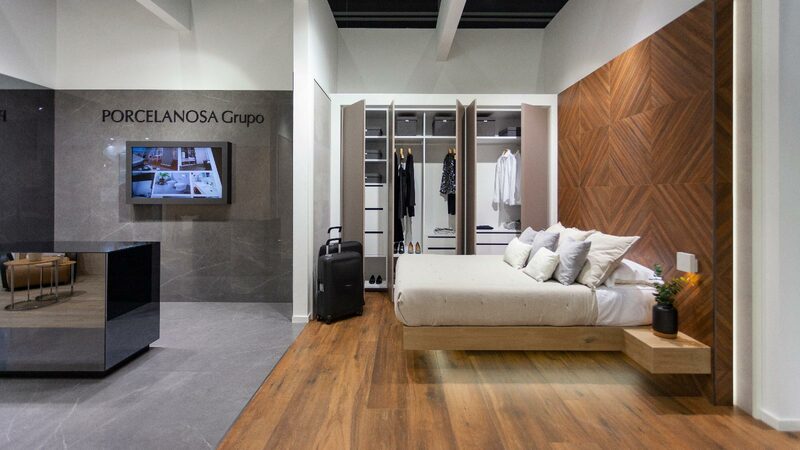 The floor tiles and wall tiles from Venis play the leading role in the suite in the second bedroom, where we can also find a spacious double storage wardrobe by Gamadecor. In the bathroom, the Elements Pattern Wind mosaic by L’Antic Colonial stands out. As well as that, Butech has also been involved by way of the Shower Deck shower tray and the under-floor heating. 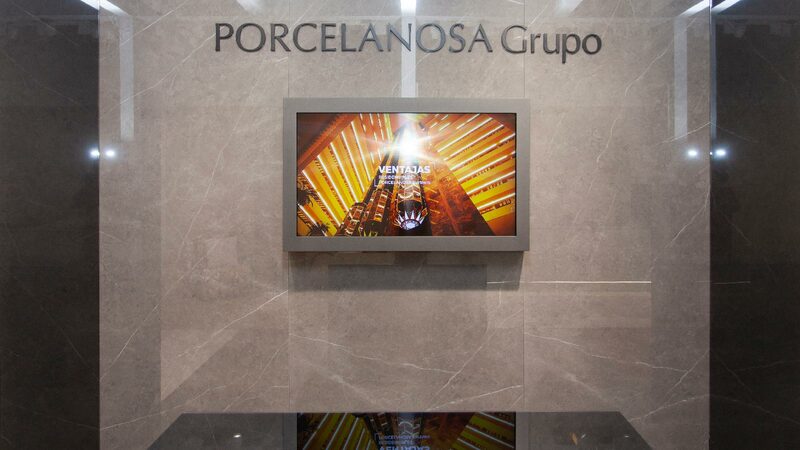 The unique pieces from Porcelanosa, L’Antic Colonial, Urbatek and Venis surround the facade of the stand and they help with the introduction for all those visitors who want to discover the world that is the PORCELANOSA Grupo.